With 36 years of practice in the same locations of Lawrenceville, New Jersey and Center City, Philadelphia, Pennsylvania Drs. Roberts and de Marsche and our staff are extremely experienced and competent in adult and adolescent orthodontic care. In fact, we have treated nearly 2000 Invisalign cases alone! We are committed to excellence in dentistry and will work in coordination with your general dentist or dental specialist. Browse our “Smiles Gallery” link to view before and after treatments, with both conventional and Invisalign orthodontics. If you are seeking an orthodontics practice in Lawrenceville, NJ, Roberts and de Marsche Orthodontics provides metal braces, clear braces, Invisalign, and advanced cosmetic dentistry services to patients of all ages. We are in the business of changing lives, one smile at a time. Drs. 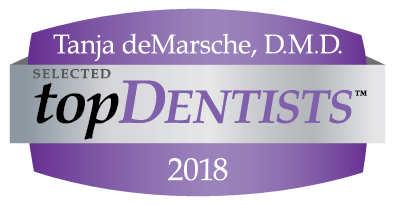 de Marsche and Roberts are committed to dental excellence and have successfully treated over 2,000 Invisalign patients and thousands of adult and teen patients using conventional braces. We offer two convenient office locations for you to visit in Lawrenceville, NJ, and Center City, Philadelphia. We provide only the highest-quality orthodontic care for adults and teens in our separate, state-of-the-art, elegantly appointed facilities. By coordinating with your general dentist, Drs. de Marsche and Roberts ensure that your orthodontic care blends seamlessly with your preventive care. Our extremely experienced and competent staff take pride in their ability to serve both adult and teen patients. At Lawrenceville Orthodontics, it is our goal to simplify your orthodontic treatment and make it a natural part of your life. While teen braces are not necessarily considered a picnic by many adolescents, and adult braces can feel like a necessary evil, straightening your teeth doesn’t have to be a pain or a trial. Getting your smile into alignment can be done under the radar, especially thanks to Invisalign braces and clear conventional braces. Ultimately, whatever orthodontic method is right for you will result in an aligned smile that is healthier, works better, and – of course – looks amazing. Are You a Candidate for Invisalign Treatment in Lawrenceville, NJ? Most of our patients are drawn to the least noticeable method of teeth alignment – Invisalign. Not everyone is an ideal candidate for Invisalign, however. It is our job at Lawrenceville Orthodontics to help you determine which alignment technique is best for your oral health needs. Invisalign treatment uses clear aligners that are virtually undetectable. Adult Invisalign is incredibly convenient for patients who want to continue to look like a “grown-up” and not be subject to the metal mouth common among adolescents. It’s possible to wear adult braces and get the straight smile you want without drawing attention to your orthodontic treatment. You can go about your professional and social lives straightening your teeth under the radar. The results of Invisalign treatment equal the results of conventional braces and, in some cases, out-perform conventional braces. For some patients, particularly growing patients and those with more complex treatments, conventional braces may be more appropriate. Every case and every patient is different. The job of Drs. de Marsche and Roberts is to present you with every viable option and recommend the orthodontic treatment that will be most beneficial for your teeth and smile. Orthodontics is a specialty, and Invisalign treatment is a unique skill. We proudly offer a variety of orthodontic services at our Lawerenceville, NJ, practice so you have choices for your orthodontic treatment. We proudly treat adults who are seeking a way to thoroughly improve and beautify their smiles. We happily set teens up for adulthood with perfectly aligned teeth. Both of our offices are equipped with spacious, private treatment rooms, comfortable reception areas, and a separate game room for kids and kids at heart. You get the peace of mind of working with orthodontists who have over 36 years of combined experience. Our staff is highly experienced and prepared to support you in your orthodontic goals, whether you choose Invisalign or conventional braces. 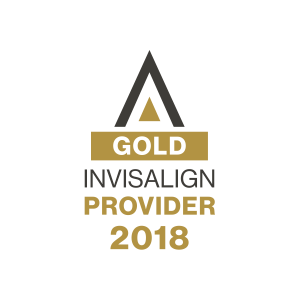 We are a top Invisalign provider in the Lawrenceville, NJ, area as well as in Philadelphia. If you are tired of being self-conscious about your smile, if you want to improve your appearance, if you want to have better oral health, it’s time to think about orthodontic treatment. Braces change lives in many ways – just check out our Smiles Gallery for visual proof – and your orthodontic treatment doesn’t have to get you down along the way. Our menu of services includes adult braces, adult Invisalign, teen braces, Invisalign Teen, and cosmetic dentistry to fine-tune your smile after it has been put into alignment. 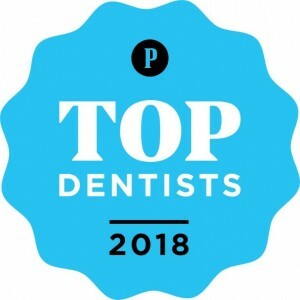 Schedule your free consultation with Dr. de Marsche or Dr. Roberts in our Lawrenceville, NJ, orthodontics office or our Center City, Philadelphia, location. Find out which orthodontic solution will be most beneficial for your teeth. Take advantage of our new patient special and easy financing and insurance options. It is our goal to make your road to a straight smile smooth and efficient.